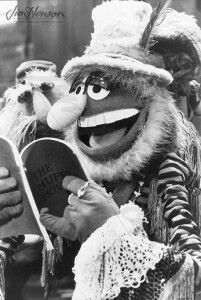 Both the legendary ventriloquist Edgar Bergen and his actress daughter, Candice Bergen were guest stars on The Muppet Show. Jim’s dinner with the senior Bergen in 1978 would have been to discuss The Muppet Movie. Demonstrating the huge respect Jim had for Bergen as a performer and entertainment pioneer (ventriloquism on the radio is truly magic! 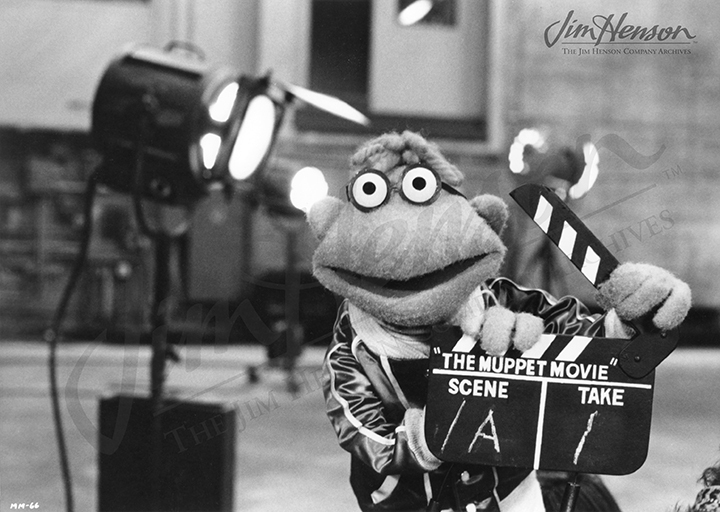 ), Jim invited Bergen to have a small cameo part in his upcoming film, portraying a judge (along with Charlie McCarthy) for the Bogen County beauty pageant that gave Miss Piggy her start. It was a wonderful tribute to a man that inspired Jim, and when Bergen passed away later that year, Jim dedicated the film to him. Learn about Edgar Bergen and his daughter Candice on The Muppet Show. 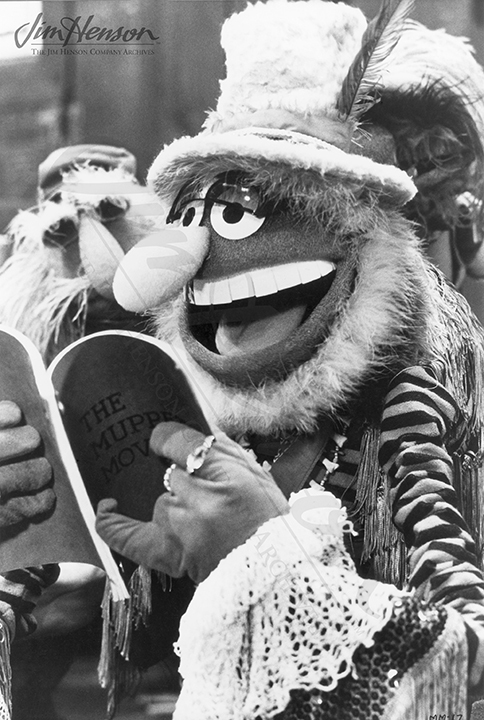 Dr. Teeth checks out the script for (and in) The Muppet Movie, 1978. This entry was posted in 01-January '78, 1978, Social and tagged Candice Bergen, Charlie McCarthy, Edgar Bergen, Los Angeles, The Muppet Movie, The Muppet Show. Bookmark the permalink.